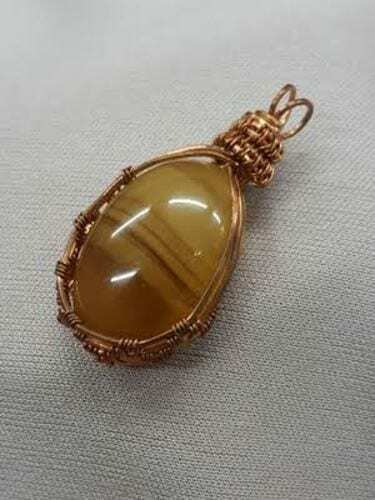 This is the second in a series of wire wrapped stone classes. Use wire to capture a stone using different shapes of wire. 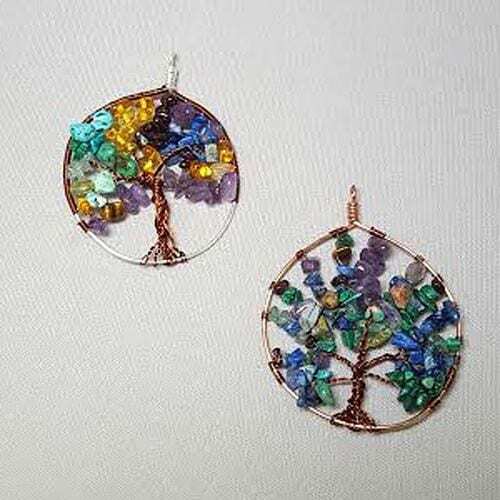 Learn to use copper wire and gemstone chips to create a pendant. This project will be slightly different each time you do it. 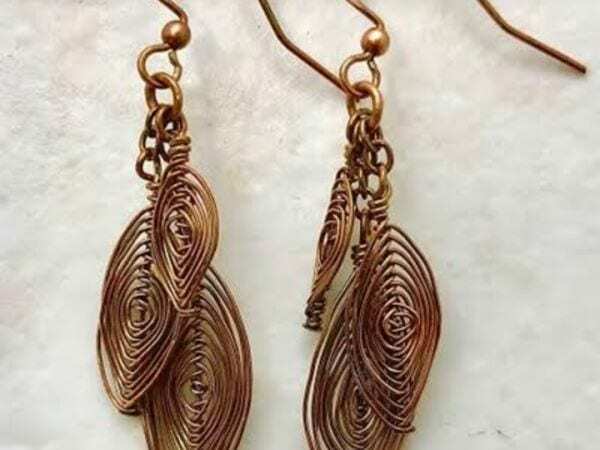 Using the herringbone weave students will make three different sized components and assemble them into layered drop earrings.